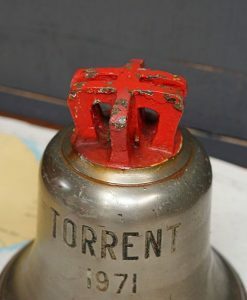 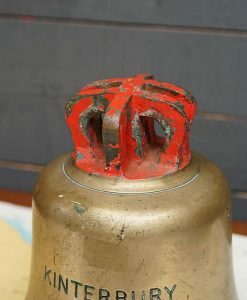 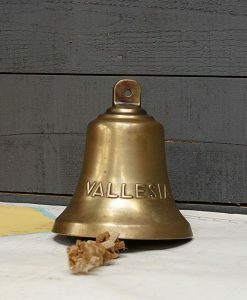 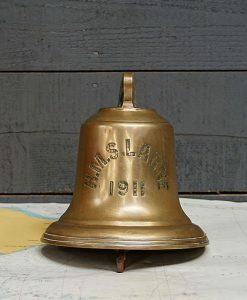 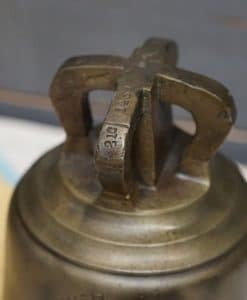 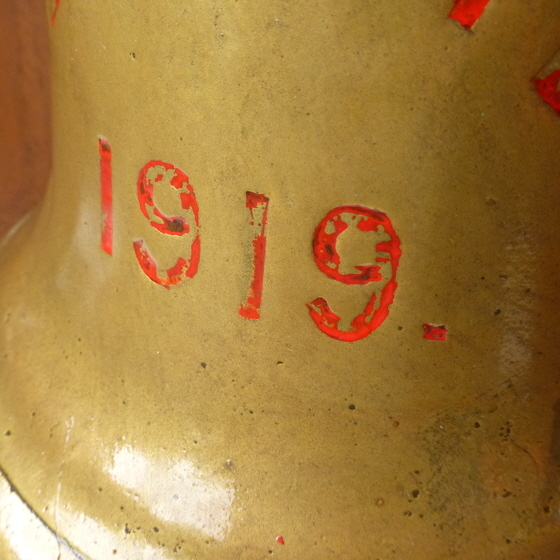 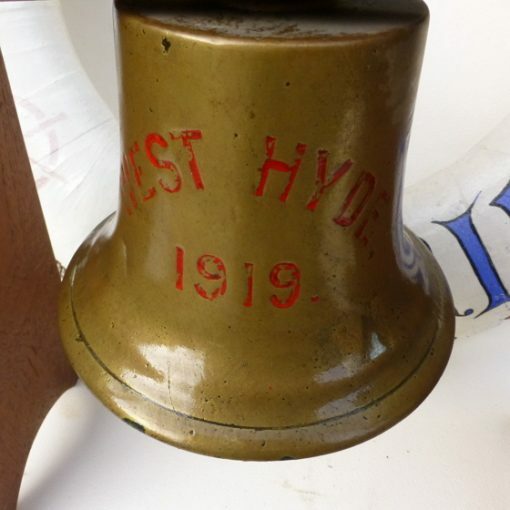 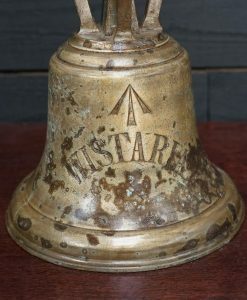 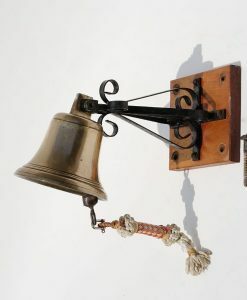 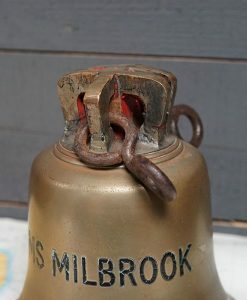 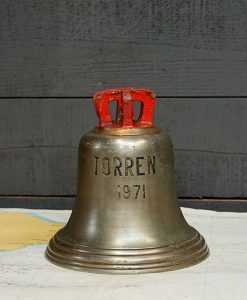 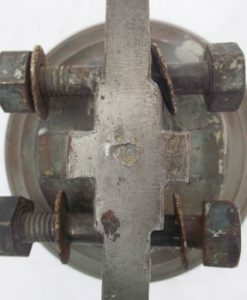 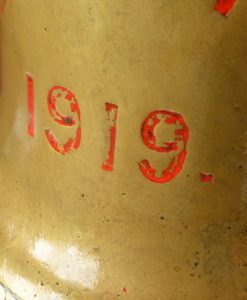 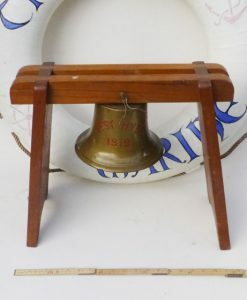 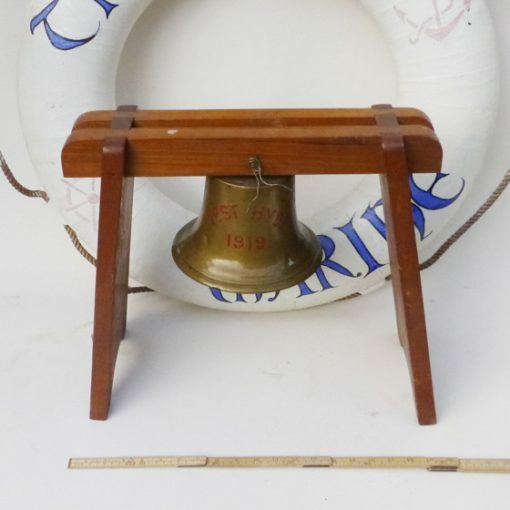 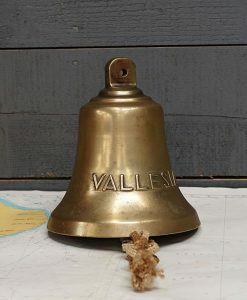 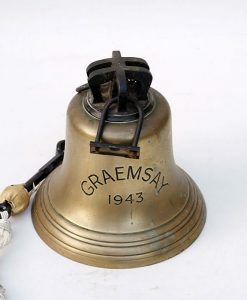 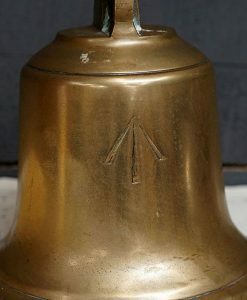 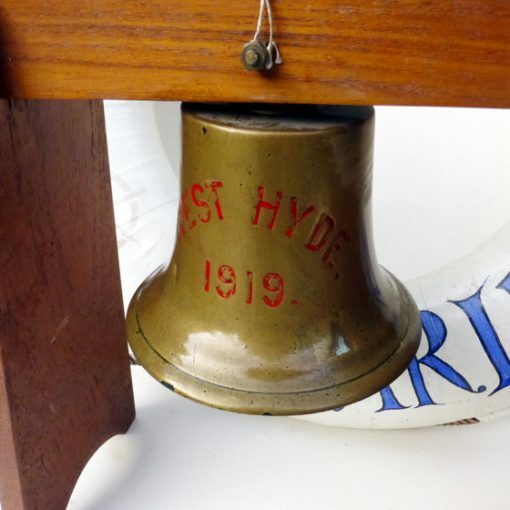 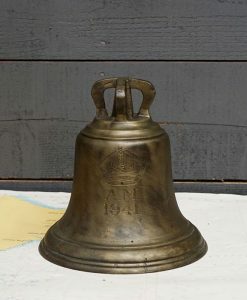 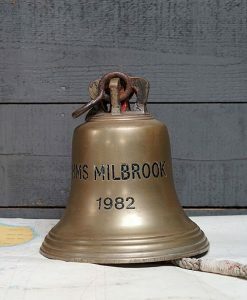 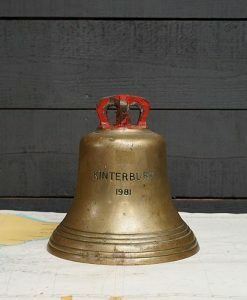 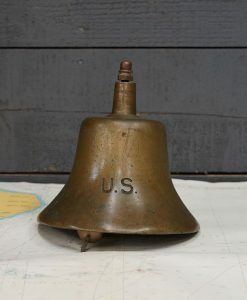 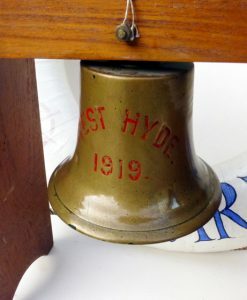 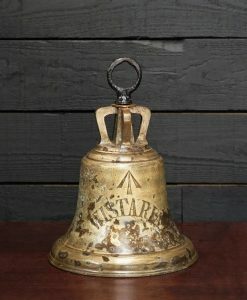 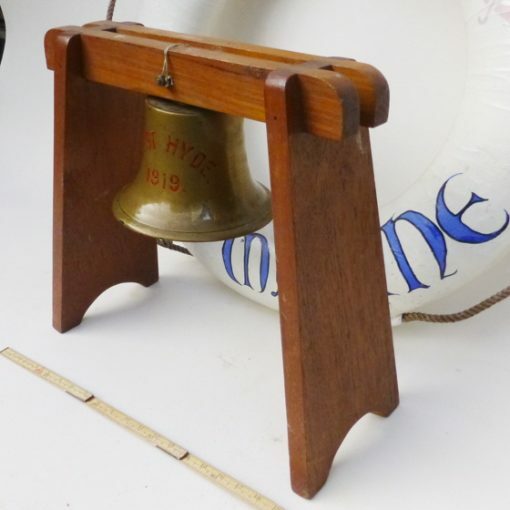 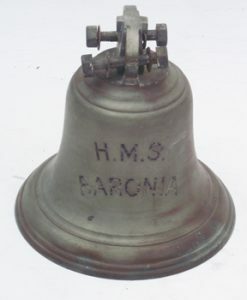 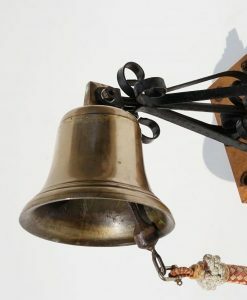 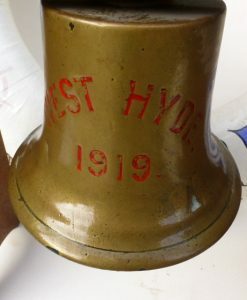 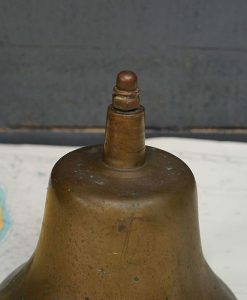 The mounted bell from West Hyde 1919. 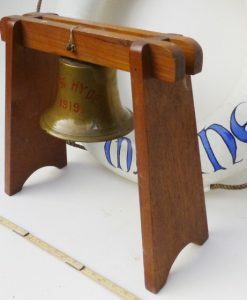 A Tyne Tug , built by Crabtree & Sons Great Yarmouth for the Admiralty. 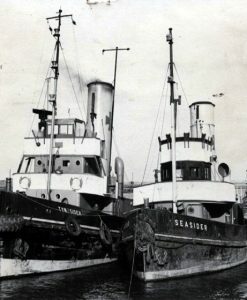 In 1947 she was sold to Lawson-Batey Tugs Ltd, a year later renamed Seasider. 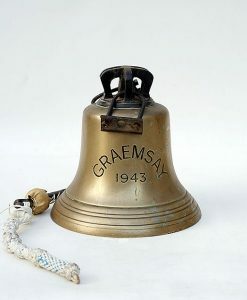 Transferred to Blyth Tug Co Ltd in 1949. 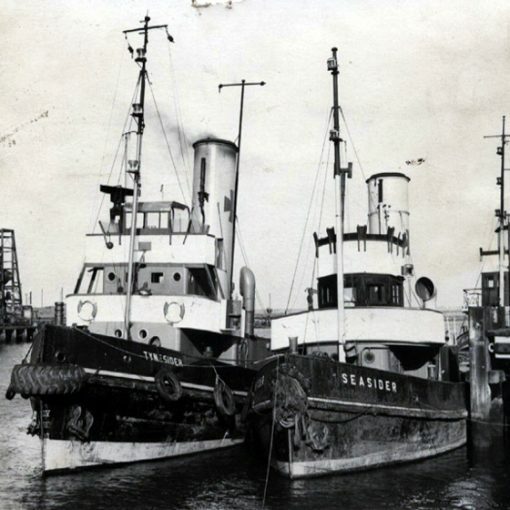 Broken up by Hughes Bolckow , Blyth in 1969.